Tortured by a cold, Puritan father, Silence has learned to conceal her passionate nature inside a prison like shell of passivity. Her eventual marriage does not offer her the escape that she longs for and she craves some semblance of autonomy. It is only the sweep of history that finally offers Silence the freedom she so desires. Civil war has raged and her sombre husband has been away for two years. 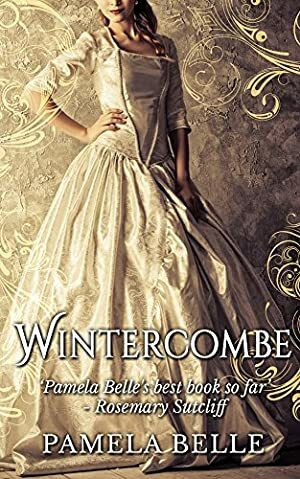 Wintercombe, once a tranquil bastion of family virtue, is transformed into an unruly, drunken, and licentious garrison. From this turmoil a still more subtle threat dawns in the handsome shape of Captain Nick Hellier. Pamela Belle was born and bred in Suffolk, the daughter of a local prep school headmaster. She went to the University of Sussex, and went on to become a primary school teacher. The Moon in the Water was the first in the four-volume Heron saga. Log In to track Pamela Belle on eReaderIQ. to be notified each time the price drops on any book by Pamela Belle. to stop tracking Pamela Belle. We started tracking this book on July 7, 2016. The price of this book has changed 9 times in the past 1,021 days. The lowest price to date was $0.99 last reached on February 21, 2019. The highest price to date was $3.99 last reached on December 9, 2017.